Club Penguin Toys in Australia and a 1 Year Free Membership to Club Penguin! Over at the Club Penguin blog they have an announcement about Australia finally getting the Club Penguin Toys! WOOT for YOU! Thanks Shimbo37. You can read all about it if you click here. Also, Carl the Hamster will be posting a new eulc to the one year free membership to Club Penguin here. That will probably happen Monday-ish. I think pretty sure maybe for sure. OH! and it looks like ZoeZoe finished her lastest podcast episode! So that will be posted as well! Check it out tomorrow! Room: Two seulc given. One on clubpenguingang.com and the other on my secret site. Hey! Have you heard the ZoeZoe ShowShow podcast yet? Click here to listen to it! It is awesome. ZoeZoe is definitely warped like me! BTW, she is coming out with a new episode in the next couple days. Episode #2 is called "Ice cream!" Let's Start The Mimo Rockhopper Tracker Again! New Snow and Sports Catalog Sweet Club Penguin Cheats! Here's how to find the new hidden Green soccer jersey. Hey last time they hid a GREEN baseball jersey. Wierdness. Step 6. Click on the soccer ball at the top of the page. MORE Salad or Plants or whatever on Club Penguin! Sweet! Go to the Beach and check out all the green stuff! Thanks, Kyroid! Rockhopper Ship The Migrator keeps dumping all this messy jungly stuff everywhere. I'm guessing this will spread all over the Club Penguin Island before too long. I posted a couple days ago that all this stuff is for the Adventure party coming soon! Scroll down the page to find it. And now Club Penguin has finally gave another clue on the front page of their site! Check it out! Oh, also click on all the flowers and see what happens! P.S. Keep an eye on Carl! I think he is revealing too many clue about the one year free Club Penguin membership! Everyone calls Club Penguin Igloos, "Iggies" But I call them "Loos"! Sweet huh?! Yeah there is new Loo music. No Big Woop, huh? I like the Summer Song? Youz? Club Penguin Card Jitsu Improvements! Wow, it is here! Club Penguin has updated the Dojo areas so now you can see your deck of Card Jitsu cards! You can also see your progress as you work towards becoming a Ninja! Club Penguin Times by Screenhog! Ok, Screenhog made a post on the blog about how much work it takes to make the Club Penguin Times each week. This really isn't that big of a deal, but I thought you might like to know. After June 11th, the Reviewed by You question in the newspaper will start being in the blog instead. Oh yeah, Carl has given another clue. Check it out here. Club Penguin Adventure Party Super Sneak Peek Cheat! Whoa! Check this out! Club Penguin will have an Adventure Party June 12 - 16! All the salad Rockhopper brought is for a Club Penguin Adventure Party! The cool thing is, Club Penguin has NOT ANNOUNCED IT YET! Disney had it on their site EARLY! Click here to see the ad on their site. You might have to reload a couple times before you can see it. HURRY before Disney removes the ad! Club Penguin Dojo Igloo Contest! Ok all you creative Ninjas! Club Penguin is looking for Dojo Igloo owners to decorate their igloo in the coolest ninja-like way! So, if you are a ninja, go to the Martial Artworks catalog in the Ninja Hideout and get your igloo and start decking it out with sweetness! The 20 winners will be selected from June 1- 13th and will be put in the Club Penguin Times on June 18th! The 10 grand prize winners will recieve 25,000 coins and 10 second place winners will get 15,000 coins. Coolio, huh? Mimo Club Penguin Eulc #1 Hint! Doesn't look right to me? Or the time coming soon! Mimo Club Penguin Party Eulc! Is this the server, time or room? Think you know? You'll find out soon! Click here for Mission Party info today! New Club Penguin Snow & Sports Catalog Sneak Peek! Let's count all the ppl that don't read why this pic is upside down and say, "Hey Mimo the picture is upside down! Fix it!" The reason it's upside down is that CARL DID IT! Oh yeah, he did something else to it. Can you tell what it is? Rockhopper's Salad is Spreading all over Club Penguin! Hmm. When Rockhopper came back on Friday, he brought a bunch of plants and stuff. So as suspected, they are starting to take over the Club Penguin Island! So what do we make of this? Look closely at the jackhammer. Do you see it? So do you think this will either be a green, plant, jungle or salad party or the beginning of a new MISSION! It's been awhile! This is definitely construction of some kind huh? Have you found Rockhopper yet? Check out the awesome Mimo Rockhopper Tracker here to find him. He is giving away a new background! Mimo Tracker Rules, A New Party, Carl Cheats and Other Sweet Stuff! Tomorrow, we will be having a party here. I will be giving the time, server, room and other instructions there. So check there later today for more info. Also, I will be having a Club Penguin Clue Party soon too! If you haven't heard by now, Carl The Hamster is giving away a one year free membership to Club Penguin. But Carl is kinda Tricky. You can read about him here. ZoeZoe has been working on here very own project. She will be posting about it later today here. New Club Penguin Mimo Rockhopper Tracker! Here is the new Rockhopper Background Rockhopper is giving away! Thanks, Ray. FIND HIM! Wow! We've had a lot of great response to our Comment Tracker in the past! You like it and it works! So here are a few new things that will help us all find rockhopper! New Club Penguin Pin Cheat - ICE CREAM SUNDAE PIN! Here is the new Club Penguin pin cheat! YUM! Go To the Plaza then go to the Pizza Parlor! NOW YOU HAVE THE NEWEST CLUB PENGUIN ICE CREAM SUNDAE PIN! Club Penguin Updates Card Jitsu! Mimo Does Club Penguin Magic! Rockhopper's Closer to Club Penguin and LOOK! Club Penguin Books and other Mimo-ness! Rockhopper Is Coming to Club Penguin Again! Mimo Double Quickee Party tonight was so Awesome! Mimo Double Quickee Party ROCKED TONIGHT! Club Penguin Winning Wig Color! Club Penguin Glowing Ghost Cheat! New Club Penguin Pin Cheat - KING'S CROWN PIN! 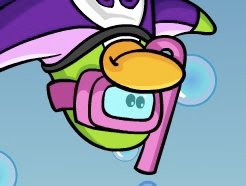 New Club Penguin Costume Catalog Sweet Cheats! Club Penguin Let's You Choose Wig Color! Mimo Club Penguin "What's Different?" Contest! Club Penguin's New Mixed Up Play! New Club Penguin Gang Mod Day - UPDATED! Pay Day In Club Penguin!